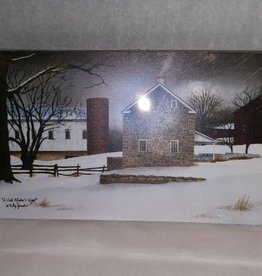 A Billy Jacobs canvas entitled "A Cold Winter's Night". 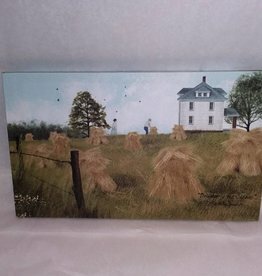 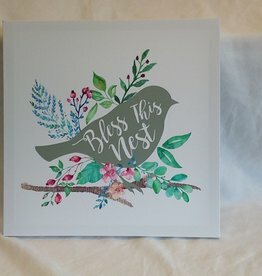 10" x 6"
Cold Winter Night Canvas 6x10"
Bless This Nest Canvas, 14"x14"
Canvas by Billy Jacobs entitled "Harvest Time". 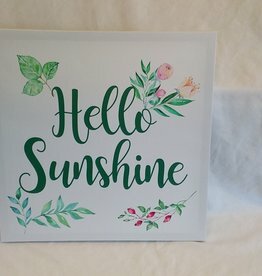 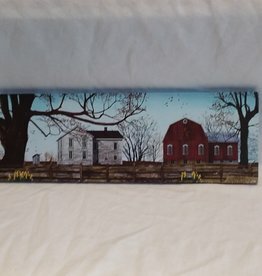 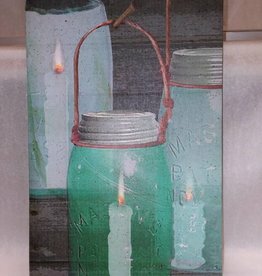 18" x 6"
Flickering lights canvas w/3 mason jars with candles inside. 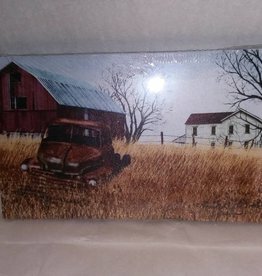 The candles "flicker". 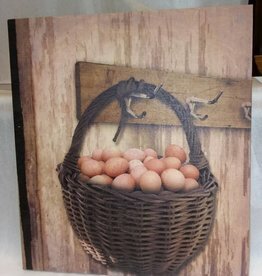 10" x1 16.5"
A canvas depicting the morning's gathering of eggs. 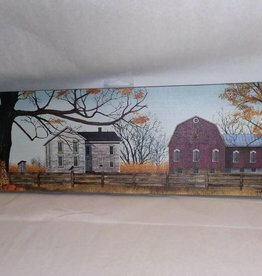 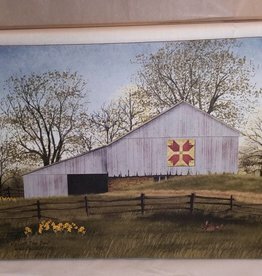 16" x 18"
Canvas by "Billy Jacobs" entitled "Bringing in the Sheaves". 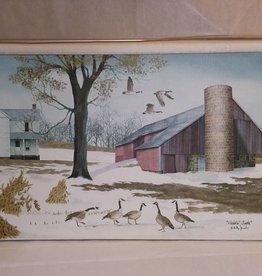 10"x6"
Geese heading south for winter canvas by Billy Jacobs, 20" x 12"